The furnace, which you can see in P. 448, is called a garage heater. 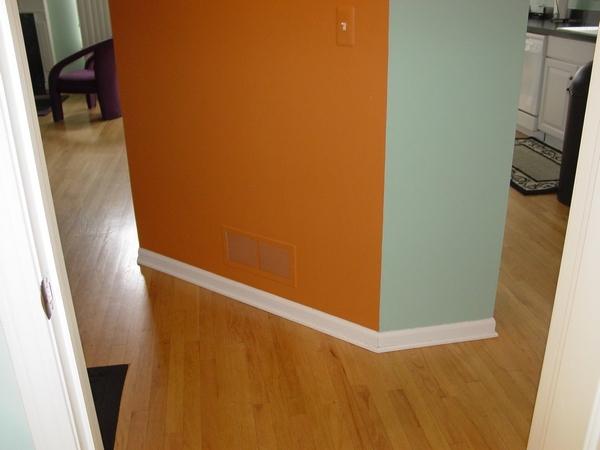 While doing Rough-in, in the middle of the stud space that is chosen for this purpose, place a piece of 10”pipe. The “Ductwork Installation Guide” e-book is designed for the people who are planning to become HVAC installers or already working in this field. But if you want to just save some money and replace an old furnace “The Furnace Book” is just for you! The Furnace Book - A Guide For Replacing Your Old Furnace. Replacing a furnace sounds like a job that must be done by a professional. You may be surprised to know that by following my simple instructions, you can install your own furnace in no time. This book is about replacing or “changing out” an existing furnace. 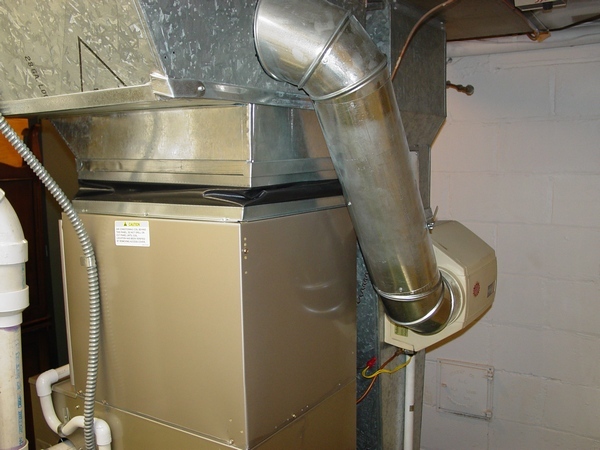 Replacing your own furnace has significant financial advantages. 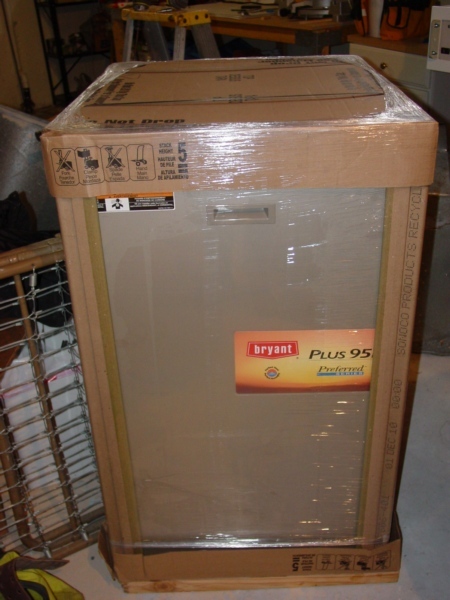 You may be surprised to learn that installing your own furnace may save you a tremendous amount of money. Completing this task on your own can save you as much as $2,000.00. This amount is only an estimate since each furnace replacement is different and some will cost more than others. You can save even more, possibly another $1,000.00, if you replace your own central air conditioning unit. Installation manuals that come with your furnace are written for someone who is a heating & cooling professional. Usually, this task seems very complicated without some prior knowledge of the subject. But this handy book was designed for your first time through a furnace replacement. 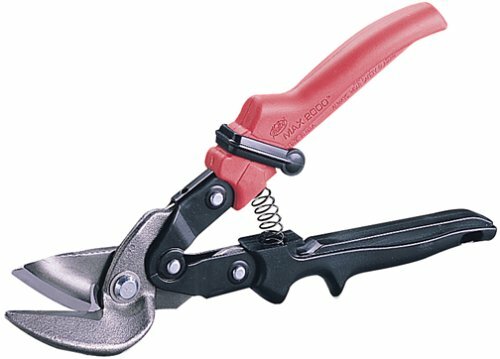 It will guide you through each step of the removal/replacement process. During the process of installing your new furnace, I will be there with you offering step-by-step “how to” instructions. Chapter One – “Purchasing a Replacement Furnace”: The chapter gives a brief explanation on how to find out what kind of furnace you are replacing and what you need to know to buy a new one. In addition, it’s explaining how to select an AC coil. Chapter Two – “Time to Disconnect”: The chapter gives an explanation on how to disconnect electric, gas line, and thermostat wires. 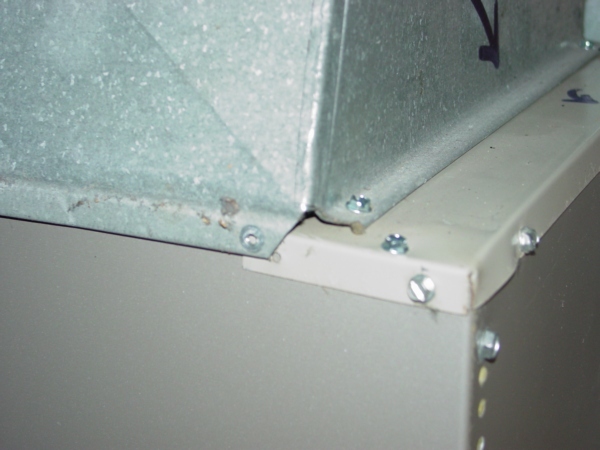 Chapter Three – “Securing the Plenum & Flue Pipes”: The chapter gives explanations on how to secure the plenum, so it wont fall down when you remove an old furnace. In addition, what to do with AS coil and old flue pipes. 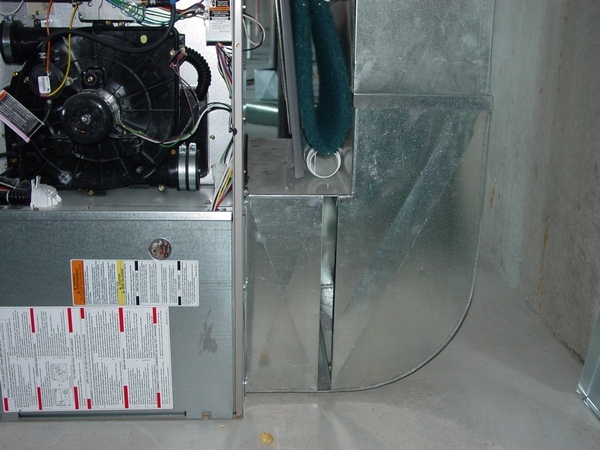 Chapter Four – “Tricks to Remove Your Old Furnace”: The chapter gives explanations on how to remove a plenum, unhook return air duct, unhook electric, unhook the gas line, disconnect old thermostat wires, unhook the humidifier, and turn off power to electric air cleaner. Chapter Five – “Review – Preparing to Hook up New Furnace”: The chapter gives a detailed explanation on how to install upflow and downflow furnaces, and how to set a furnace up on its place, how to make a transition to the old plenum. Chapter Seven – “Starting Your New Furnace for the First Time”: The chapter explains what should be done if you have a propane furnace and what you should check out before start up your new furnace. Chapter Eight – “Pointers for Adding Central Air Conditioning”: The chapter gives explanations on what you can do by yourself and for what you will need a professional help on. 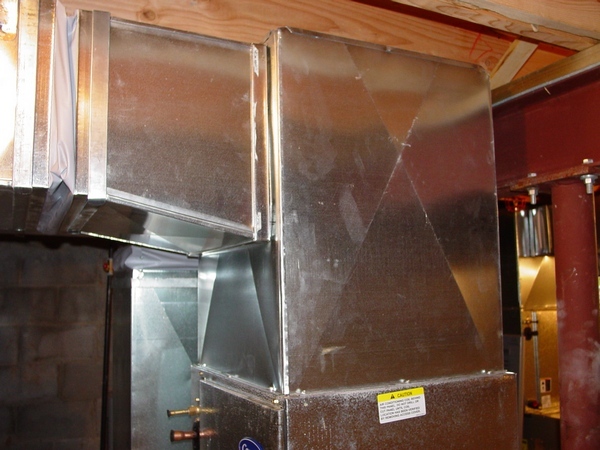 Epilogue – “Guidelines for Running Ductwork When Changing Your Existing Furnace”: The chapter gives general explanations on how to run ductwork, chose return air grill, figure out the supply duct sizes. Are you planning to replace your furnace? If your answer is yes, I would suggest you to purchase this book. Yes, you would be better off in any case if you will have this book or the "Furnace Replacement" chapter from my "Ductwork Installation Guide" book (see below), or at least the "Furnace Replacement in Pictures" page (see below) at your disposal. Why is it so important? Let’s find out an answer to this question. 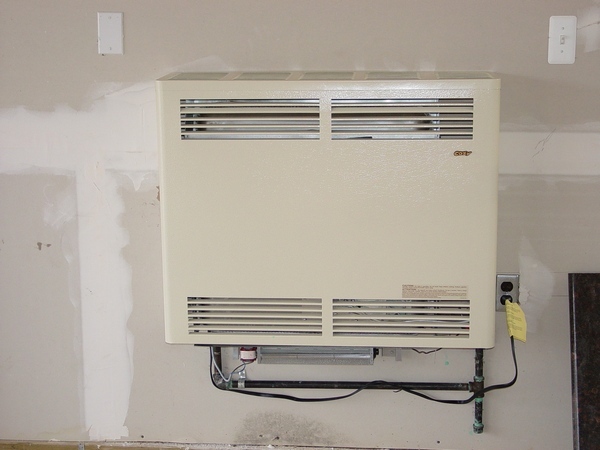 Let’s say you are planning to replace your furnace by yourself and save a lot of money. Then you need "The Furnace Book" by Paul E. King! Furthermore, after you click on the BuyNow button and pay the money, Pay Pal is going to bring you back to my website where after you register yourself you are going to see the "Furnace Replacement" chapter from my "Ductwork Installation Guide" $7.99 value absolutely free! That means that while "The Furnace Book" would be still sitting on the shelf and waiting to be mailed to you, you already will have enough information to start your project because you are going to gain an instant access to the chapters and to the "Furnace Replacement in Pictures" page on my website and save $15.35! Let’s say you are planning to hire a heating contractor to do the replacement for you, then what. During many furnace replacements conducted by my crew in 80% of the cases a homeowner was hanging out with us asking numerous questions. If he or she would be well educated and prepared for this kind of minor disaster as a furnace replacement, he or she would be asking the right questions, seeing the obvious mistakes, suggesting better solution before, but not well after the bill is paid in full! Well, our customers were lucky enough do not have this kinds of problem! Are you sure that you will be that lucky? Please think about it…. Price for the book on my website is $49.99,, shipping and handling is free! We just bought a Lennox G61MPV-60C-091 furnace installed for $5106, plus additional work $200 for new thermostat, $200 for condensate pump (for included humidifier), plus $175 to install additional return duct in our lower level. Total cost $5831. This is a 2-stage, variable speed fan, 95% AFUE furnace. We will get about $2700 back total in federal tax credits and rebates through the state of Colorado, our energy provider, and Costco. Just wondering (maybe a little too late), if this was a respectable price? Some companies would try to rip you off. For example, the company I'm currently working for would charge for installation of the similar furnace (but 100000 BTU-s, the above Lennox is 90000) - $3500 - $3700, for a new thermostat $80 and $160 - $180 for a condensate pump! Of course, these prices are good for the Detroit area only, but if you pay this kind of money, you should expect to get a perfect installation. It is not a secret that most of the Heating Contractors will try to save any penny they could. 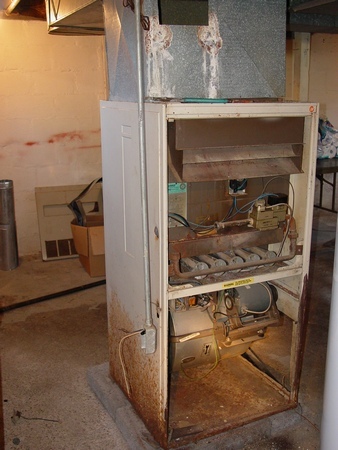 They will hire undereducated installers and pay them 8 – 10 dollars an hour, but as a result, you will get poorly installed furnace and wasted money. How to pick an installer? / Importance of training/certification? We're trying to decide between three bids and it's tough to tell who will do the best job. All three guys were personable, presented the case for their bids well, but how can one really judge them until they do the work? More specifically-- one bidder talked about the certifications that he had and his team had gotten and trainings that they had attended. He said that he and his crew went above and beyond most others in professional training. This came up when talking about installing the units correctly, and doing some kind of flow/temp tests throughout the house after installing(I may be explaining what he said a bit awkwardly). He said that some of the training stuff was over the top and could only be done in labs, but was making the point that he and his team took things seriously, I should say professionally. It made sense to me, but how should I know? Actually he was the most comprehensive in his inspection of our broken unit(finding something that others hadn't). All three guys had their good points, but I wonder if anyone here puts much into the idea of these trainings/certifications? It depends on the certification. I would. Experience and training is the combination that makes for a good installer. You need the balance of both. The training shows some effort. But the guy could still be a hack. One thing that bothers me about the world right now is it is dominated by choose-and-loose tests. I happen to be good with them so I can get certifications pretty easy. But I work with a guy that is terrible at them. he is a better HVAC guy than I am, but has trouble passing any of these things. To the point--talk to your neighbors. The guys that did good work for them should do good work for you. So, what, in my opinion, should you do? Ask them for the address of their last or most recent job, go there and take as many photos of installation as reasonably possible, and send them to me. Choose the most trustworthy contractor, let him do the install, pay him 50% - 90% of the contract's amount and send me some pictures of your furnace installed. Just look at these pictures below. Do they look Okay to you? However in the first picture I found 10! (TEN) mistakes and in the second one only 4 (FOUR)! Isn’t it too much for the one professional installation? So, what can you do? The answer is very simple; you have to hire me and I will evaluate your new installation in the timely matter! How does it work? After you pay $1.34, PayPal is going to bring you back to my website. Here you have to register yourself, choose your own Username and Password, and inform me about your installation on the Question Page. At the same time, PayPal will provide you with my e-mail address. Use it to send me some pictures of the new furnace installed and I will tell you if it is right or wrong and what should be done to fix it! If I won't find any mistakes I'll refund your money! On 10/21/2015 text of this chapter was significantly modified and improved. 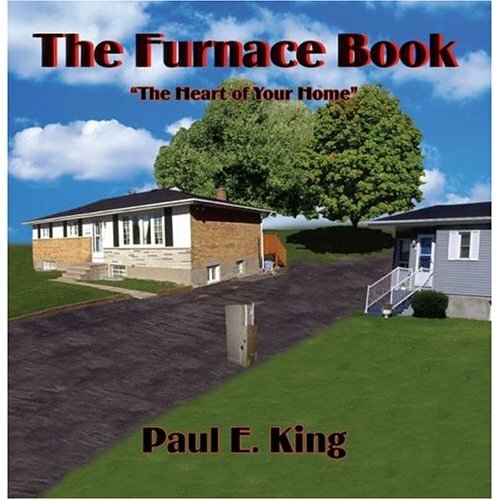 As you have seen above I’m selling Paul E. King's book – “The Furnace Book”! In order to help you all to come up with a decision to buy it, I've made the “Furnace Replacement in Pictures” page! If you come to my website with the questions: Can I install my own furnace? What is a furnace installation? How do I install a furnace vent? Can I see pictures of furnace installation? How do I install 80% furnace? – now you have a clear opportunity, for the very low price of only $2.50, to buy an instant access to this page and see all 137 pictures, which include pictures of the tools you may need for the replacement project and pictures of the 80% and 90+% efficiency furnaces replacement with the filter box installation and bypass humidifier replacement! Furthermore, if you decide to buy “Furnace Change-out” chapter from my "Ductwork Installation Guide" without purchasing the “Furnace Replacement in Pictures” page it is already included in the package anyway! If you are planning to replace your furnace, you may need to see 137 high quality pictures on this page! It doesn't matter if you are going to hire an HVAC company to do the job or not, but you should know how the installation must be done the right way! In order to gain an access to this page you have to pay an access fee of $2.50. Just click the “Buy Now” button below. Once you pay, you will gain an instant access to the page! 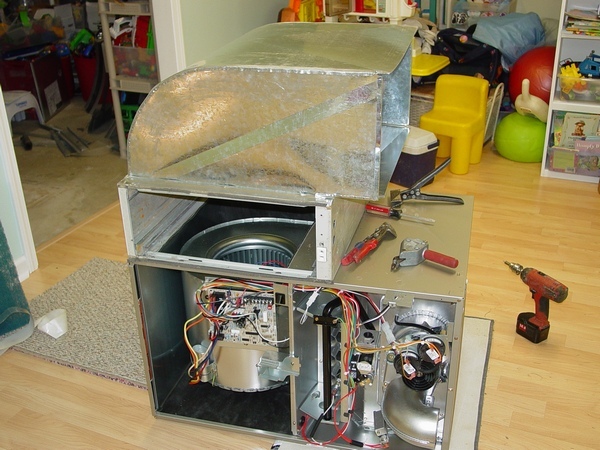 On this page for the price of only $2.50 you can learn how to make a cold air return box. 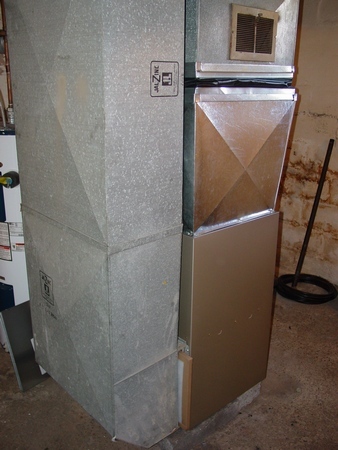 Learn how to replace a mobile home furnace on this free page.